When birders in the eastern United States see a flash of red up in the canopy or deep inside nearby bushes, more likely than not those crimson feathers belong to the iconic Northern Cardinal. 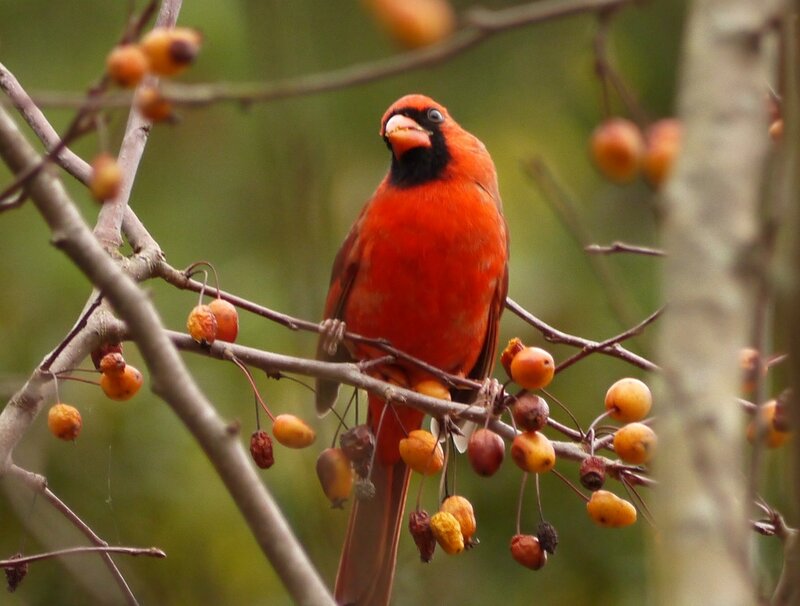 Perhaps it was their flashy color or the males’ tall crest that attracted the legislature to the bird, because in 1943 the Northern Cardinal became the official state bird of North Carolina. To say Northern Cardinals are common is an understatement. As they are so easily found, I know I sometimes lose sight of how beautiful they truly are. The males are obviously eye-catching, and though the females lack the characteristic shade of their male counterparts their bright bills and red wings and tail still stand out among the green of summer leaves or the white of winter. As Northern Cardinals do not migrate and do not change into duller plumage, photographs of cardinals in the snowy months can be spectacular. I’m not the only one who appreciates the Northern Cardinal. In addition to North Carolina, six other states have named the cardinal their state bird, including Illinois, Indiana, Kentucky, Virginia, West Virginia, and Ohio. In Life List, a biography of Phoebe Snetsinger, the first person to see over 8,000 bird species, author Olivia Gentile recounts that Mrs. Snetsinger once told a paper that “if the cardinal were rare and living in a remote corner of Washington state, I would travel to see it and probably think it was the most beautiful thing I had ever seen.” That same sentiment is probably true for us all! For birders who love cardinals there’s good news: since 1966 their populations have been growing every year, with an estimated breeding population of 120 million. 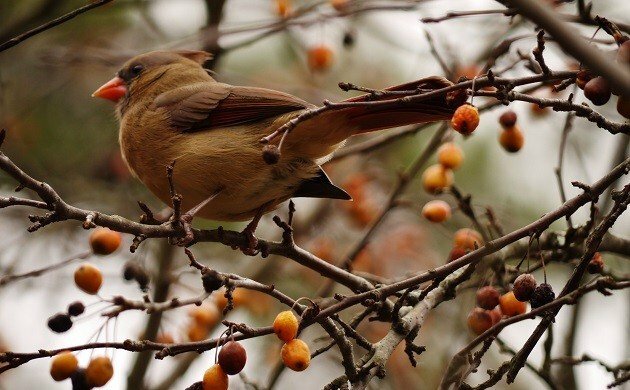 If you’re one of the few who has never seen a cardinal, look in thick, shrub filled areas, such as forest edges, yards, fields, and other spots with dense foliage.